The steering wheel controls (or stalks) for E12 Corolla are quite confusing. There was a generation shift around 2004-2005, where they changed from a serial bus-based interface to a resistor network interface. I don't know the exact reason for the change, but common sense tells me that it simplifies the circuit, thus avoiding possible faults through the chain of events. Resistor networks has also been a automotive standard for many years, so Toyota might have realized that they had to walk the same path. However, even if you have the pre-facelift version, you may have the resistor based stalk. I did a quick search of cars for sale, and some of the prefacelift version did have the new type. 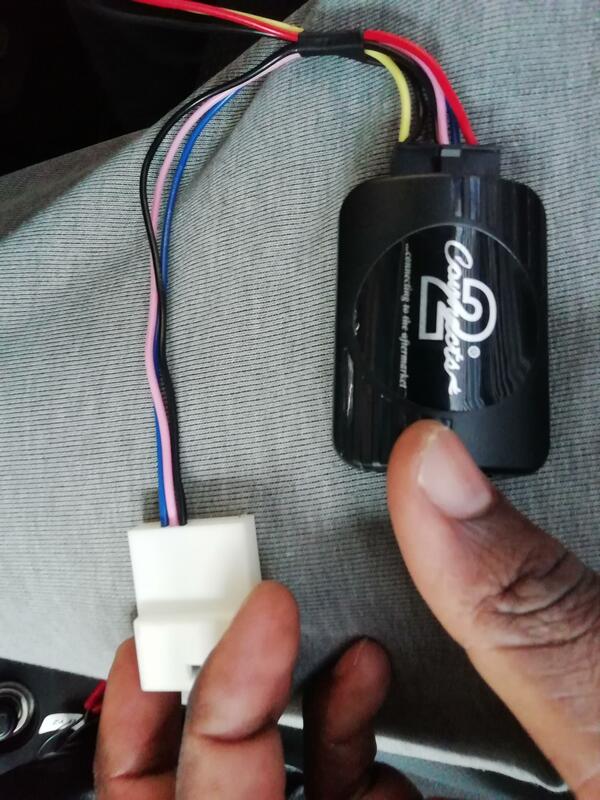 So the thumb of rule here is that if you have the buttons on the wheel itself, then you have the resistor based version, and if you have them on a stalk on the side of your steering wheel, then you have the bus based version. This can also be reflected on the plug. See below for references. The bus used for the Toyota stereos are called AVC-LAN, and is based on the NECs IE-bus. AVC-LAN uses the same electrical properties, but the protocol is slightly different. For more details on AVC-LAN, see Marcin's page.. Pioneer's IP-bus is an example of a bus based on the IE-bus. Basically, every time you press a button, a controller submits a code to the head unit and tells it which button you pressed. 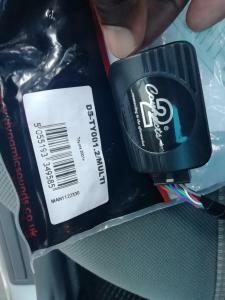 There might even be a two way communication, where the head unit tells the stalk when it is allowed to transmit the data, and a feedback where it tells whether or not it received the data. It's quite an advance operation just to transmit the press of a button. As far as I know, there are no converters available for this stalk. And believe me, I've been looking for a year now! This is a very simple configuration, where the head unit constantly measures the resistance between two wires and earth. Without having tested this myself, or having any experience with this configuration, I assume it's done by measuring the current flow. Whenever a button is pressed, there will be a variation in current, making the head unit sense and quantify the current. 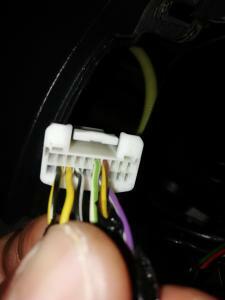 All resistors have a given resistance, making it easy for the head unit to know which button is pressed. This configuration is really simple, and does not require any active components in the stalk. The benefit of using this configuration is that all sensing is done by the head unit, and it makes it more robust due to the fewer components. There are many available converters for this stalk, so that you may use this for most aftermarket brands. is there any way i can add steering wheel controls to my car? I have an 04 pre facelift so would assume i'd need the bus type control. I doubt that you can easily fit a steering wheel control if you don't already have one. 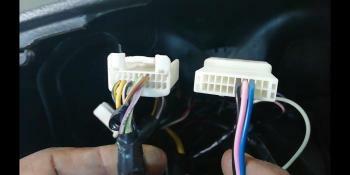 You need to replace the steering wheel, and you need to have wires available from the steering wheel to the stereo. Not something I would attempt. You might however be able to find everything at a scrappie, but I figure it requires a whole lot of work. Very interesting info there. I'm vaguely planning on doing something OBD based with my o2 Joggler for my final year uni project, maybe incorporating wheel controls could be the icing on the cake. hello, i don't know if this is the right topic to ask my question but i guess nobody will kill me for asking anyway..